Face Fads – The Latest Beauty Bits! It’s been a while since I treated myself to new make up! The last time I went high end, but ahead of my holiday next week I decided it was time to revert back to high street, and I have not been disappointed (for the most part)… Oh! And excitingly, this is a blogger collaboration post, too! It seems everywhere you look, there’s a new trend in beauty! From Kim Kardashian and her vampire facials, to snail slime moisturiser (honestly, not worth it), there’s always something going on! Hels, Abbey and I decided to do a collaboration on beauty fads. Head to thehelsproject to check out the perfect and honest review of what “bloggers made her buy!” and hit up Abbey Louisa Rose to find an ace write up on beauty fads busted! Go and check out these lovely ladies, they are my blogger BFFs and their blogs are veritable feasts of fab content! 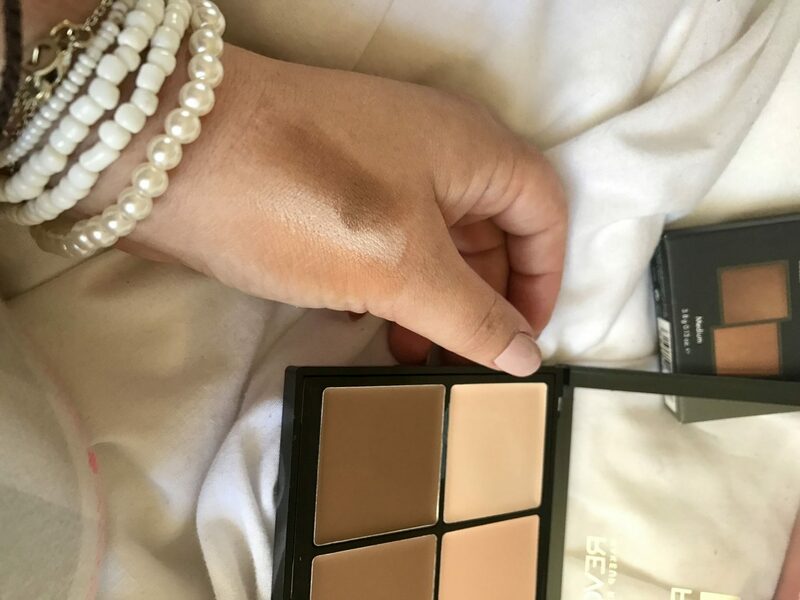 I’m a sucker for trends like that, and for contouring I’d been using the Sleek Make Up Palette for ages, but on my perusal I had my mind refreshed about Make Up Revolution. 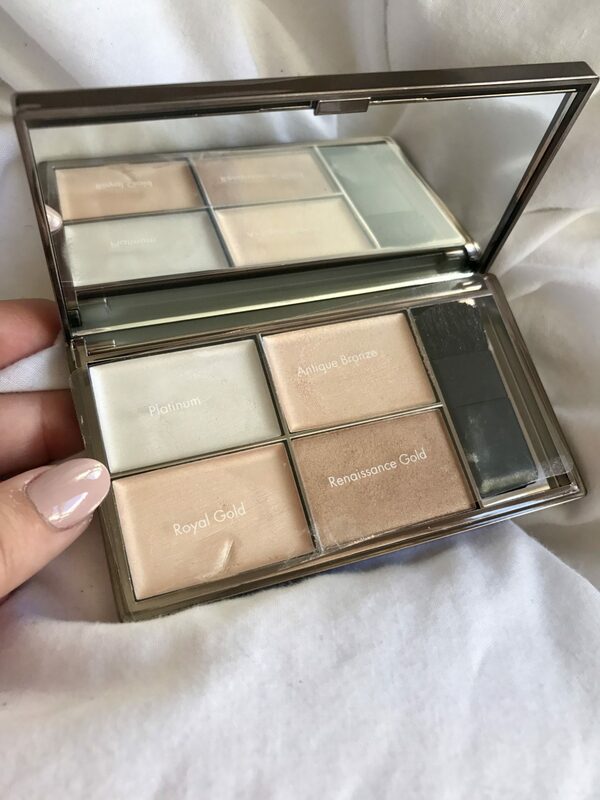 Make Up Revolution are insanely cheap and have great dupes for your make-up favourites (check out their eyeshadow palettes for a dead ringer of the Naked2 palette). I spotted their cream contour and decided to give it a whirl. I notice that this doesn’t come with a contour guide – unlike the Sleek one. In the end I reverted to the Sleek how-to as a bit of contour guidance. The cream feels super light , it applies nicely , and it’s staying power was pretty decent. You get more colours in the Pro HD than you do on the Sleek palette, which allows you to create a more subtle blend. Lip kits are the hot new thing. A combo kit which comprises of lip liner to accentuate and define, and (usually) a matte gloss to “fill in” the lip lined area. I think I am maybe the wrong person to review this because I’ve come to the conclusion that I hate matte lipgloss. I just find it looks “unfinished”, and I’m not sure the ‘matte’ effect suits my skin tone. 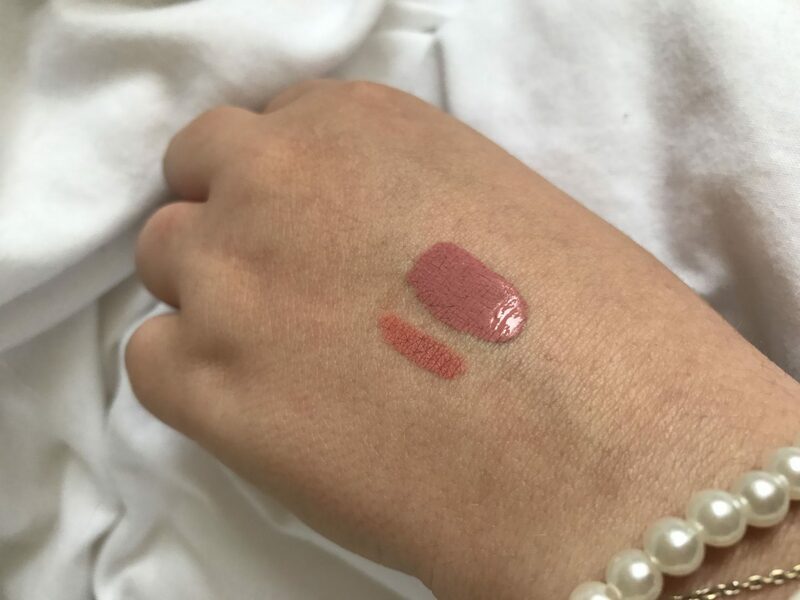 The Make Up Revolution lip kit is good value for money – although the lip pencil broke as soon as I gently applied it, so you have to be super super gentle with it, and the gloss itself applies nicely as gloss and then mattifies within 5 minutes. To its credit, it lasts a lifetime. More than a standard gloss. Overall I’d recommend this to anyone who liked the matte look and was keen to trial a cheap lip kit. 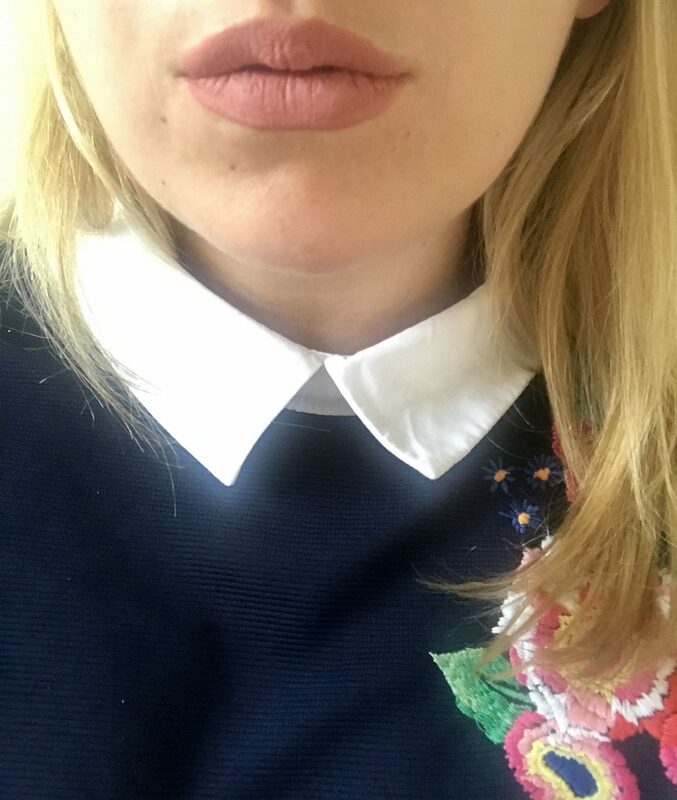 A lipgloss + liner for £6.00 is not too shabby! I think this is my absolute favourite of my new purchases. The colours are so beautiful, the packaging is SO pretty (am I the only one who’s a total sucker for cute packaging?!). I’m not sure that the swatches in the photos really do this purchase justice. You can really amp this up for a heavy highlighted look, or you can tone them down for a subtle sweep of highlighter. I can’t wait to take this on holiday and be extra sparkly on my travels! This particular one is called Precious Metals, but they have some others on their website too if these colours aren’t quite to your taste. This is my “changed my life” product. 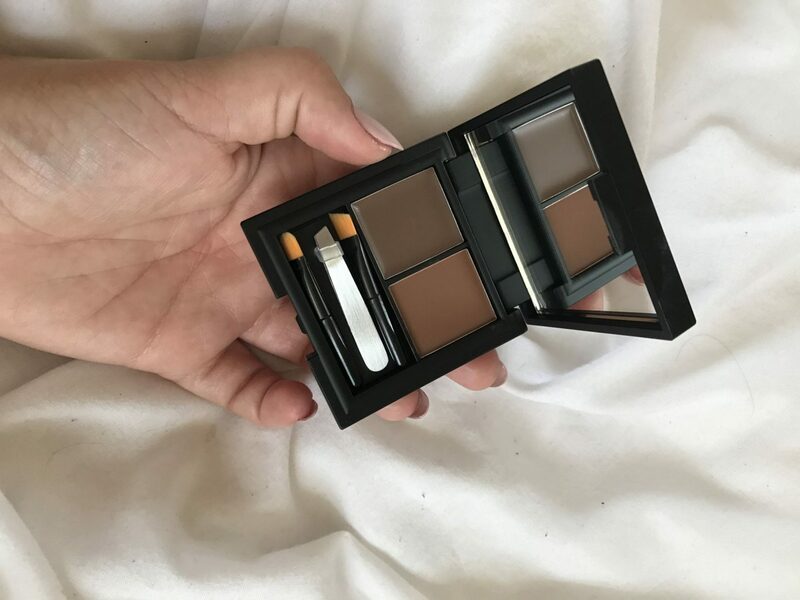 I’ve been using the Sleek eyebrow palette for the last year and a bit probably, which is unusual for me as I tend to try out different versions of make up when I run out, rather than being super loyal. This eyebrow palette has a wax part which you apply first using the angled brush, and a powder part which you use to set your eyebrows. They come with mini tweezers too to get those errant little hairs, too. Perfect eh? If you’re looking for something that gives more definition and longer staying power than a pencil then I definitely recommend this bad boy. I’d be lost without it! 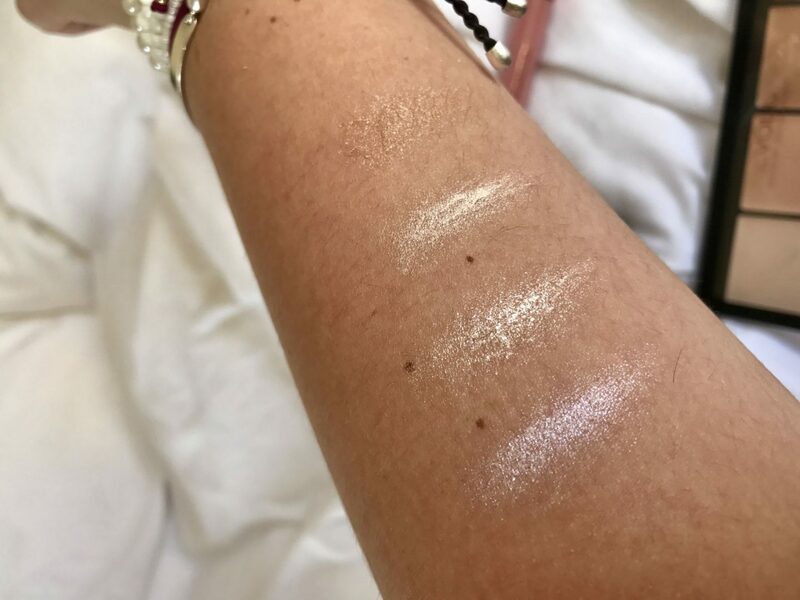 Omg that sleek highlighter was my fave! I saw was because it’s finished and I just no longer wear much make up! Royal gold was the go to, hit pan really quickly with that one. I think you may have convinced me with that lip kit now, love the colour and I do like a matte but I can understand why it’s not for everyone. The colour is definitely lovely, and looking at the before and after I can see a difference in the definition, but I just struggle to get on board with matte! £6 for a lip kit sounds like great value, especially given the price of the Kylie Cosmetics ones that inspired them all! Such a shame about the fragile pencil, it’s never fun when breakages happen right away! I’m definitely more of a matte lip lover than a gloss person, my hair is often so wild and springs up right by my face that I’d be constantly pulling hair out of glossy lips if I were to wear them – ick! 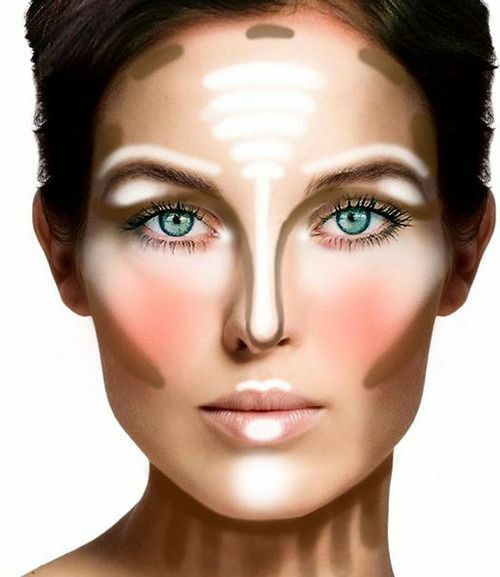 That image you’ve included of where all the contour and highlight is supposed to go shows exactly why I have never ever attempted it! It looks incredibly complicated and I’m not sure I’d get it right haha! 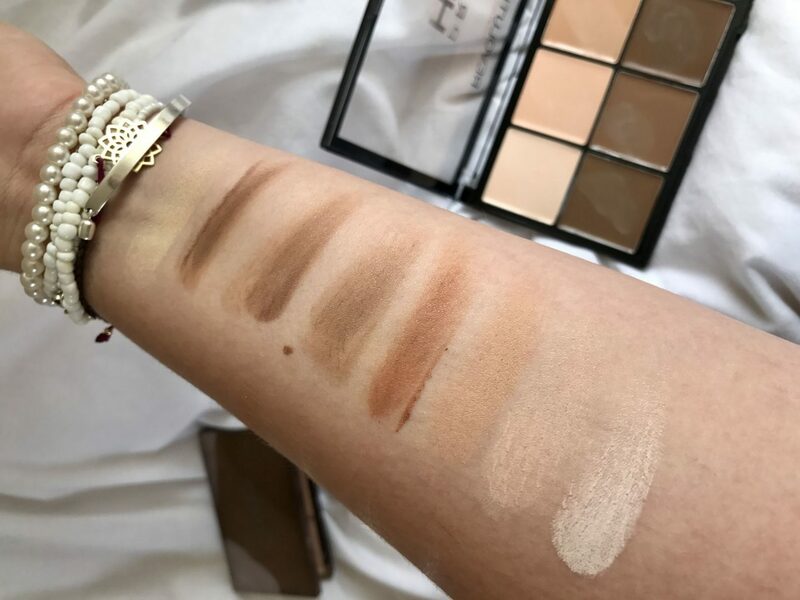 The colours in the Makeup Revolution contour kit do look quite subtle in your swatches though, which might give me the confidence to give them a go, as I’d be less worried about looking like I’d painted my face to resemble some form of deranged tiger! The highlighting kit is so beautiful, I’m a sucker for pretty packaging too! Renaissance Gold is a shade that really appeals to me! Thank you for these really thorough reviews, and for collabing with me and Hels, it’s been a pleasure! I do always end up faffing around trying to get my hair out of my lipgloss and then the lipgloss out of my hair so maybe matte has its benefits after all! Ha I know, contouring is quite a daunting prospect! Ha, I agree, I think the blend would be subtle and provided you opted for the right colour palette for you skin I don’t think you could go too far wrong! I’m obsessed with the highlighters, I think I’ll even use them as eyeshadows! I have literally no idea where to start with contouring! I definitely want to invest in that eyebrow palette! My current eyebrow palette is running very low so I’m pleased you loved this one so much! I loved doing this collaboration with you guys! Ooh yay, I def recommend Sleek Make Up for the palette and they come in a variety of colours, too! I can’t believe how good a value for money it is!? I’m mega impressed you contour on the daily! Def invest its super worth it and the swatches lasted all day so I’m pretty sure it has great staying power! 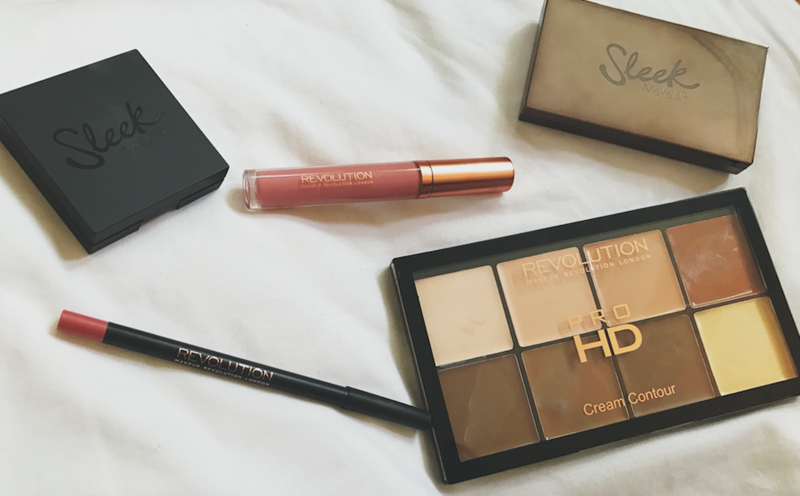 I love the Make Up Revolution brand! My friend bought me some of their products for my birthday and I love them! 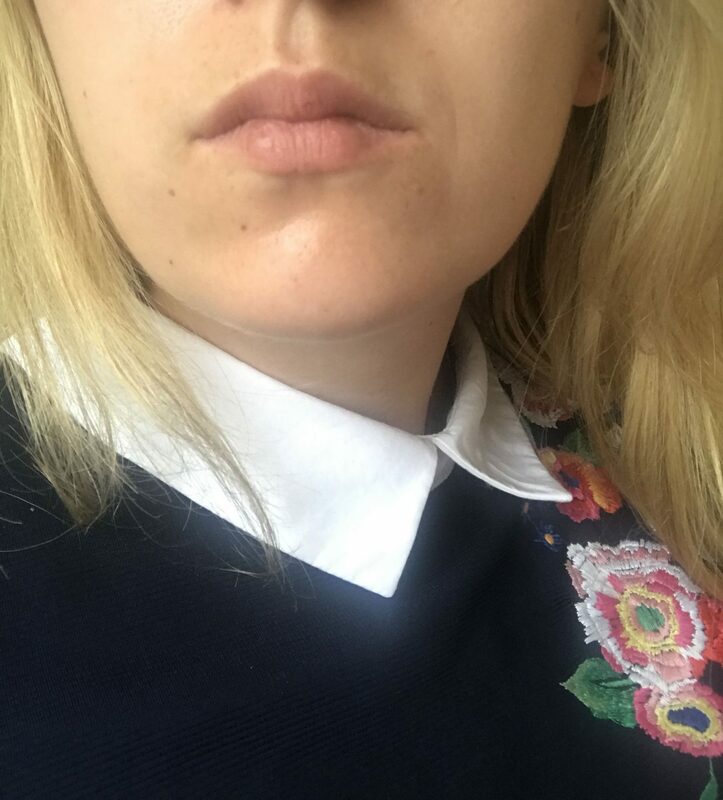 It was great reading your post to get some make up recommendations! The contouring looks great and the lip kit looks fab! Make Up Revolution are just sooo good aren’t they! ?